Gov. 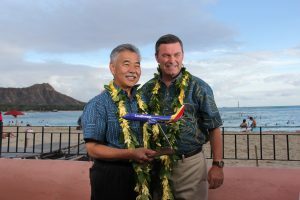 Ige with Southwest president Tom Nealon. Tickets have been selling fast for Southwest Airlines’ long-awaited start of mainland and interisland service for the islands. 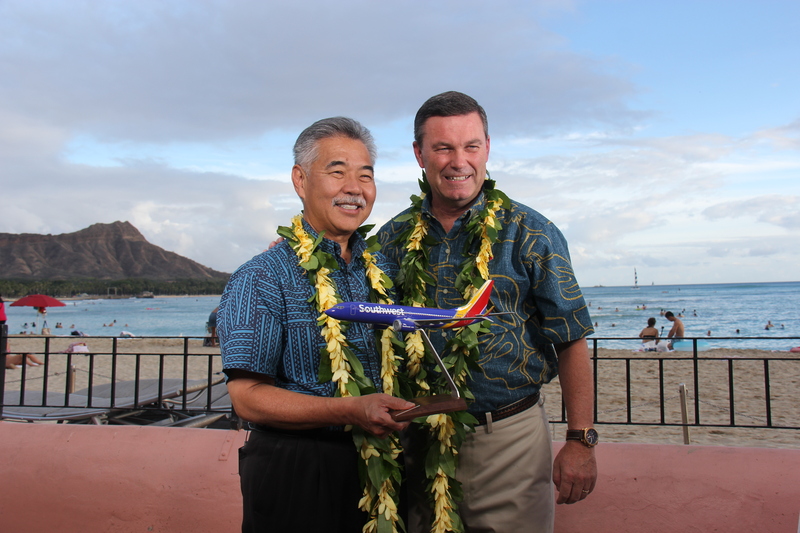 Southwest will offer service between Oakland and Kahului, Maui on April 7, and between San Jose and Honolulu on May 5. Service between San Jose and Kahului will begin on May 26.